CANBERRA, Australia — China's premier on Thursday warned against protectionism, saying his country planned to close its $50 billion a year deficit with Australia by expanding the trading relationship rather than retreating from it. Premier Li Keqiang said in a speech in Australia's Parliament House that globalization created "some problems," but that free trade was not to blame. China "cannot close our doors" to solve its trade imbalance with Australia, which last year left the Chinese with a $50 billion deficit largely through industrial demand for iron ore and coal, he said. "We believe that to resolve trade imbalance, we need to continue to expand trade," Li said through an interpreter. 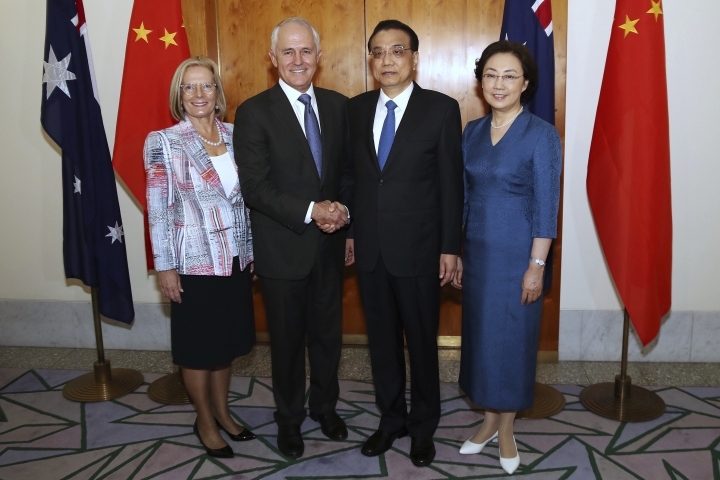 Li and Prime Minister Malcolm Turnbull will on Friday detail an expansion of their two-year-old bilateral free trade pact in the areas of investment and services. President Donald Trump's election promises to change the dynamics of global trade. Australia was an enthusiastic advocate of the proposed Trans-Pacific Partnership, an ambitious trading bloc of Pacific Rim countries that the Obama administration had committed the United States to joining. China never intended to join. As well as pulling the United States out of that pact, Trump — who campaigned on an "America First" platform — has said he will renegotiate the North American Free Trade Agreement with Mexico and Canada. Australia's 12-year-old free trade deal with the United States could also be reviewed. Li's visit to Australia and New Zealand, which started late Wednesday, is the first by a Chinese premier in 11 years. He is also the most senior Chinese official to visit Australia since 2014, when President Xi Jinping finalized the free trade deal. Turnbull suggested that as well as trade, the two leaders will discuss tensions in the South China Sea over competing territorial claims. "Premier Li and I will discuss, as we have before, the importance of upholding and maintaining stability in our region," Turnbull said. "We believe China has much to contribute to global peace and prosperity in this time of rapid change." 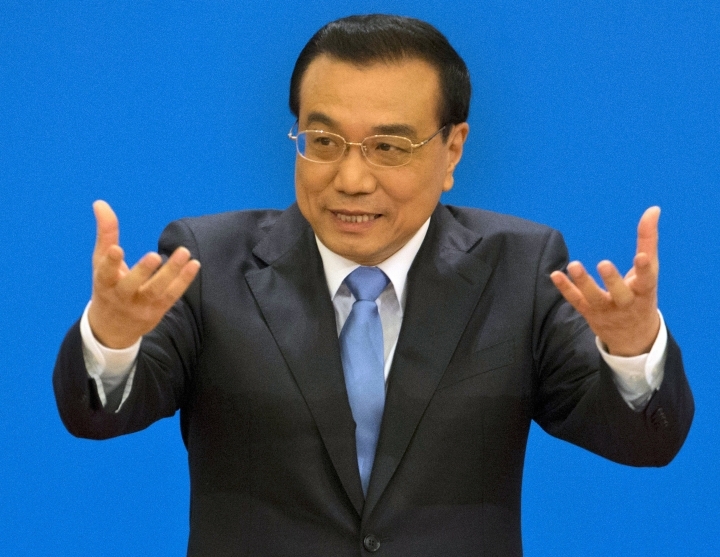 Li said China would work with Australia to ensure freedom of navigation in distributed regions. China will "never seek hegemony and dominance," he said, adding China needed a stable world environment to grow its economy. Li was welcomed to Parliament House by a 19-gun salute and distant protest chants of anti-China demonstrators who were kept well away from the Chinese leader. 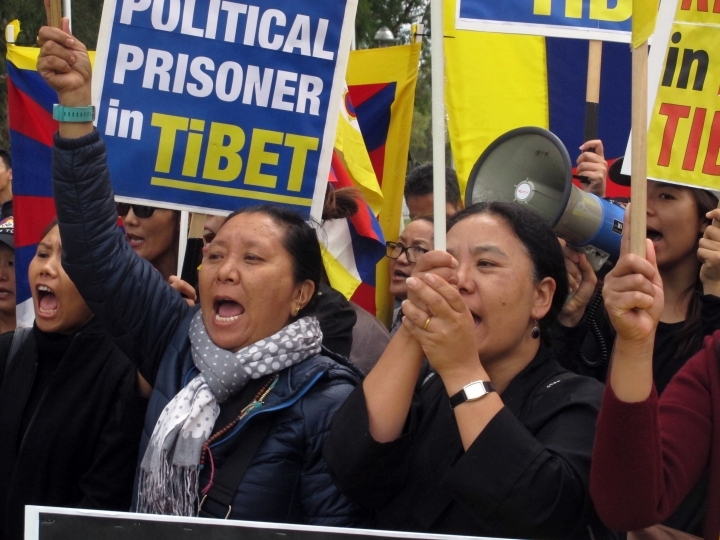 About 100 Tibet and Xinjiang separatists along with Falun Gong supporters were cordoned off from a similar number of China fans who wielded national flags and beat drums on the front lawn of Parliament House. 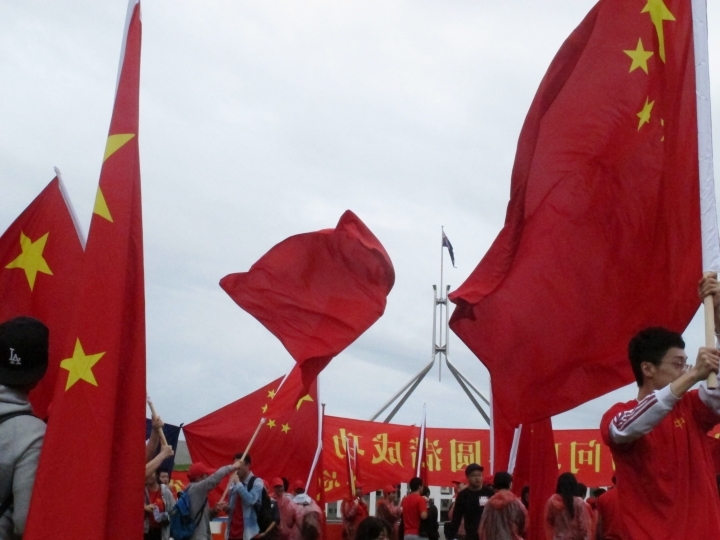 The protesters carried placards including "China stop bribing Australia," "Free Tibet" and "Stop persecuting Falun Gong."